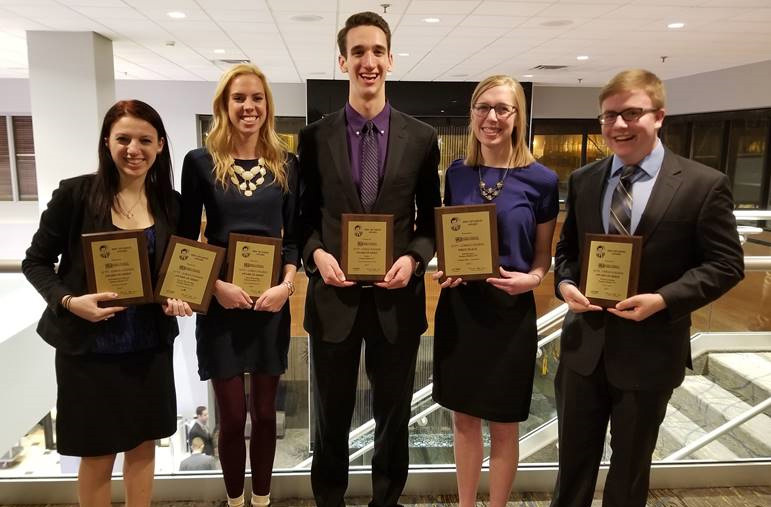 Loras College is proud to share with you that several of our students and Loras College Television, were honored with top regional awards at the Midwest Journalism Conference in Bloomington, MN this past weekend, April 13 – 14, 2018. Each year, the Midwest Broadcast Journalists Association presents awards to the best work done by broadcast news operations and journalists working in small, medium and large markets, as well as college/university students in the six-state region (Minnesota, Wisconsin, the Dakotas, Iowa and Nebraska) in radio, television and online. 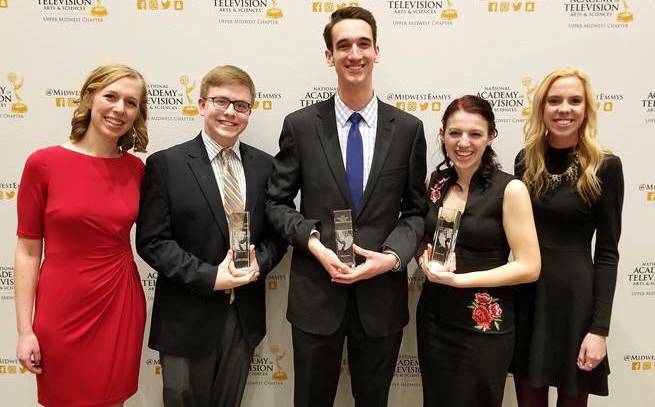 Also, held in conjunction with the MBJA conference, was the NATAS Upper Midwest Emmy® Chapter/Foundation Student Production Awards. We are pleased to share that our students also received three Crystal Pillars awards. LCTV’s SportsZONE for Sports Program. 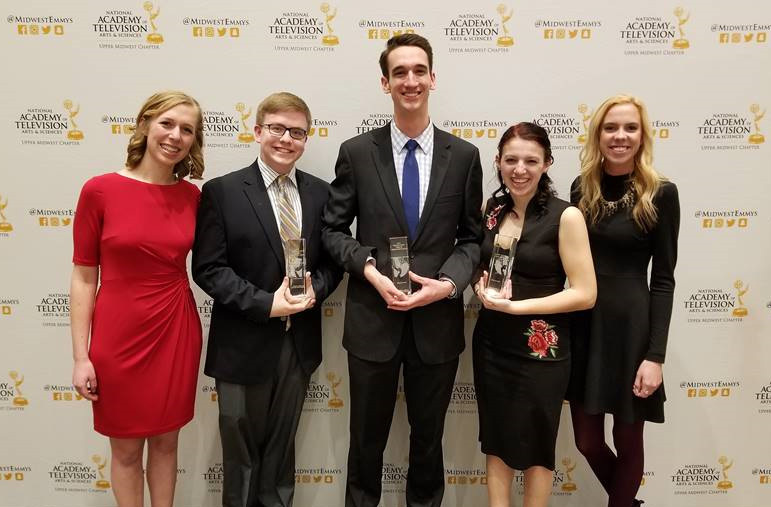 Congratulations to LCTV News for their nomination in the Newscast category, as well as Allison Wong and Charlie Grant’s documentary nomination for “Dubuque’s Holding” in the Non-Fiction category. The Upper Midwest Chapter of the National Academy of Television Arts and Sciences (NATAS) is a membership organization dedicated to excellence in television by honoring exceptional work, past and present; providing professional development and outreach; and nurturing the next generation of television professionals.